The name Trinidad stands for two separate cigar brands, one of which is made by Habanos SA, Cuba and the other one is made by one of the Imperial Tobacco divisions named Altadis in the Dominican Republic. The name for the cigar has been adopted from the city in Cuba known as Trinidad. 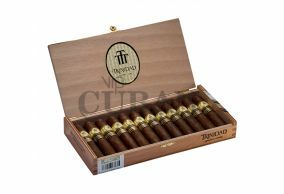 The Trinidad cigar gives you one of the best flavours found in Cuban cigars. The Trinidad Churchill variety of cigars use wrappers grown on trees whose seed was brought from Sumatra. The size of the cigars is standard and the cigars are very well made with a smooth wrapper on the outside. The cigar burns at a relaxed rate and supports your mood as you contemplate something. The cigar will help you enjoy a deep and hearty aroma in between every two subsequent draws on the cigar. 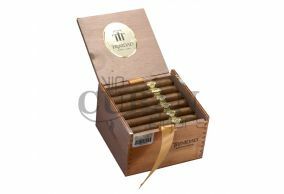 The Trinidad brand of cigars which form the Robusto variety are a bit short in length but provide the tasty blend of the three different kinds of tobacco used to make the cigars. The fillers are long and are grown in Peru, the Dominican Republic and Nicaragua. Each of the three different types of tobacco filler has its characteristics but when they are combined together, they give a flavour which is so unique that it makes you savour the flavour again and again. The binder used in these cigars is broadleaf grown in Connecticut which makes the cigar stronger, adds more to the overall flavour and gives the smoker a deep satisfying smoking pleasure. The Trinidad brand promoted by Altadis has been awarded a rating of 90+ by the institutions which have a lot of expertise in the field because of the attention given by the company on minute details. The expert cigar smokers claim that these cigars are some of the best of its kind in the world. 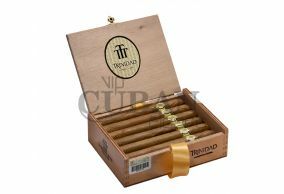 You can try the Trinidad cigars if you are looking for cigar which is full of different flavours.